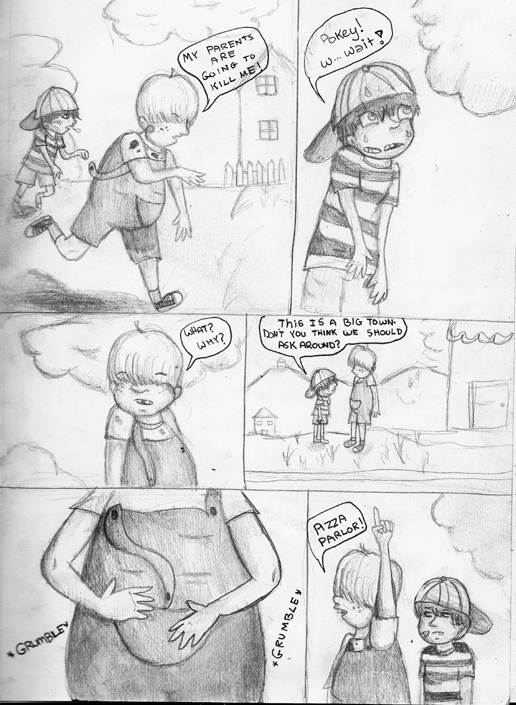 Name- Page 8- "Ness' Idea"
As Pokey and Ness run after the Sharks who have kidnapped Picky, Ness stops Pokey with an idea. Pokey's stomach, however, has other ideas. A project that I did for about a week on and off. (I am STILL finding old art I haven't submitted!) Love. Life. Purpose. Watch them fade.